An Interview with Lucas Bianchi, Co-Founder & Promoter of Namaste Credit. As a co-founder, Lucas is excited to be working with a great team at Namaste Credit to build amazing technologies that are revolutionizing finances for SMEs and individuals across India. 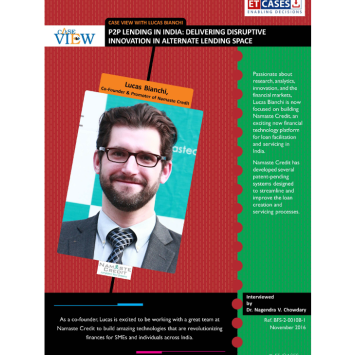 Passionate about research, analytics, innovation, and the financial markets, Lucas Bianchi is now focused on building Namaste Credit, an exciting new financial technology platform for loan facilitation and servicing in India. 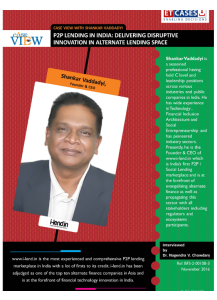 Namaste Credit has developed several patent-pending systems designed to streamline and improve the loan creation and servicing processes.